FENTON, MI - Growth Management Group (GMG), the Michigan-based tax consulting firm which has recovered over $500M in specialized tax incentives for its clients nationwide since 2004, has just launched SparkMyResume, a free online tool designed to help certain job-seeking military veterans, the disabled, and others float their resume to the top of the stack. This free service pre-screens a job-seeker for potential tax credits -- up to $9,600 -- they may bring to any employer if hired, then generates a certificate for the applicant to attach to their resume. This certificate is designed to pique the curiosity of the hiring manager. Compelled to learn more, the intrigued hiring manager can look up online the potential tax credit eligibility by entering the applicant’s unique Candidate ID# found on the certificate. Should the hiring manager decide to hire a tax-credit-qualified applicant, they can instantly activate GMG’s service to outsource the procurement process. “SparkMyResume effectively bridges the gap between awareness & implementation of hiring tax credits,” notes Wynn Yin, a Senior Advisor with GMG. “Not only are job-seekers now able to benefit themselves and educate prospective employers through this service, but now we’ve made it easy for employers to actually cash in on these tax credits without having to do it themselves and go through the hassle of learning how to process the paperwork. It’s a win-win for everybody.” A noteworthy aspect of this service is that a candidate’s exact reason for tax credit eligibility is withheld from prospective employers. Previously, in order to play the “hire-me-I-come-with-a-tax-credit” hand, a candidate must disclose their reason for eligibility. SparkMyResume now helps the applicant retain their ability to disclose their disability or veteran status, for example, at their discretion. SparkMyResume primarily screens for the Work Opportunity Tax Credit (WOTC). 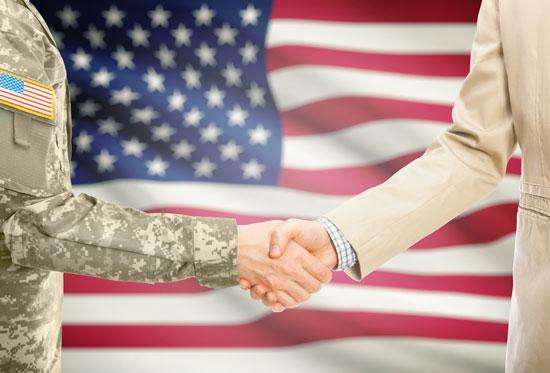 WOTC was created to incentivize employers to hire individuals belonging to certain disadvantaged groups, including select military veterans, disadvantaged youths, those on government subsidy programs, and the long-term unemployed. For more information on WOTC, please visit the U.S. Department of Labor website. Register for a free account at bit.ly/sparkmyresume to see if you’re eligible to generate your free tax credit certificate.